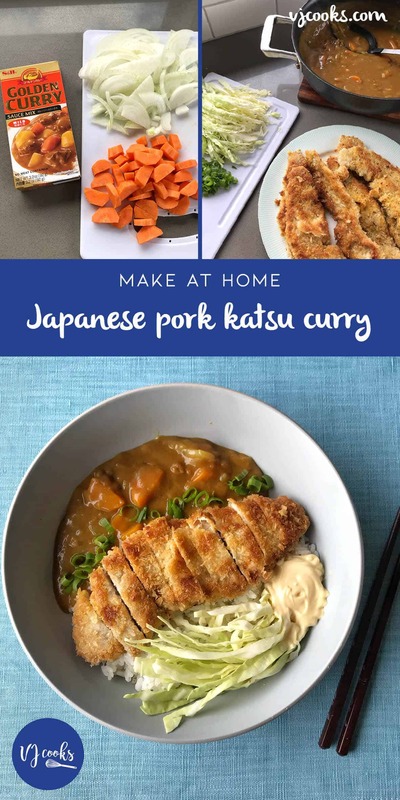 Pork katsu curry is a favourite dinner at our house the crispy pork goes so nicely with the traditional Japanese curry sauce. 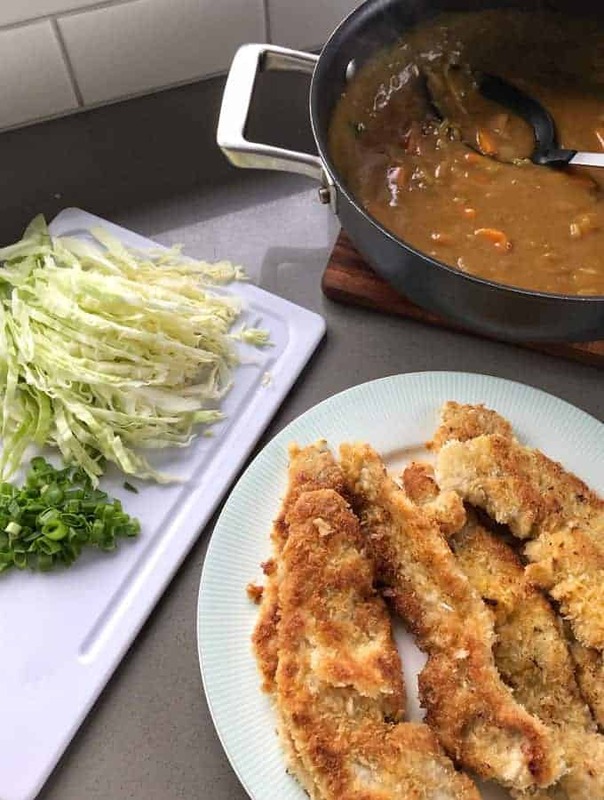 When I discovered the delicious Golden Curry mix and how easy it was to make Japanese curry at home I was so excited. 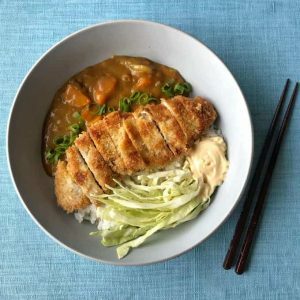 This is one of the meals I always ordered when I was out at Japanese restaurants and now I know how to make it at home. I like to make this meal with either pork fillet or schnitzel or you can also make it with chicken breast. 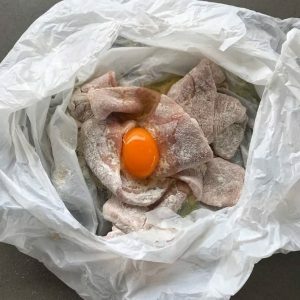 One trick I love to do when crumbing pork, chicken or fish is to put it into a plastic bag then sprinkle in the flour and shake, then crack in an egg and shake again. (This saves mess and dishes) After that put the panko crumbs on a plate and coat each piece in the panko crumb. 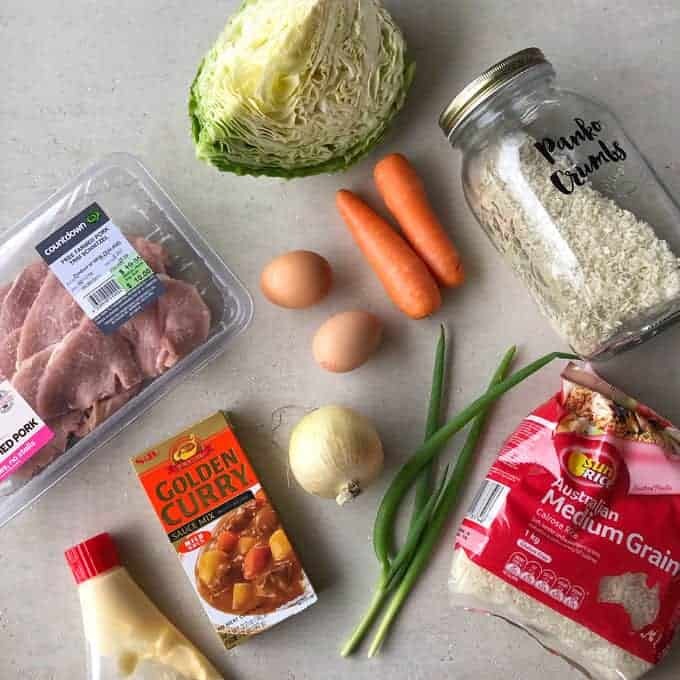 The Golden Curry is easy to make and you can just follow the instructions on the back of the packet if you are confused as to how much water etc and you need to use. There is two different size boxes you can buy 92g or 240g this recipe to serve 4 people uses the smaller packet. You can add other vegetables to the curry if you want to bulk it up like broccoli, cauliflower and potatoes. I like to keep it traditional and use onions and carrots. I serve my katsu curry with shredded cabbage, spring onion and a big dose of kewpie mayo, my favourite! 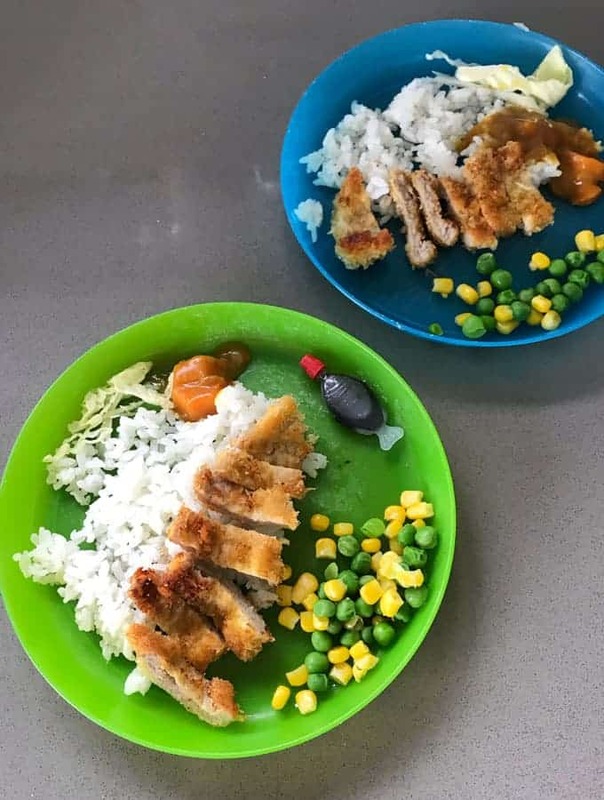 Here is the portion I did for my kids they are two and five years old and they loved the meal. 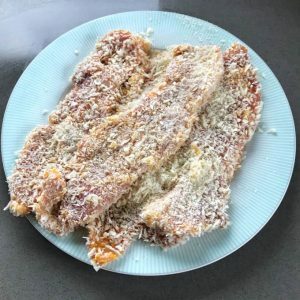 • Coat pork in flour, then egg and then panko crumbs. • Heat 1 tbsp of oil in a pan and fry pork on each side until golden and cooked through. • In a large pan sauté onion with oil and stir until soft. Add carrot to the pan. • Add water and bring to the boil, add 1 packet of golden curry sauce and stir until dissolved. Simmer for 5 minutes and keep stirring. If the curry sauce becomes too thick then add more water. 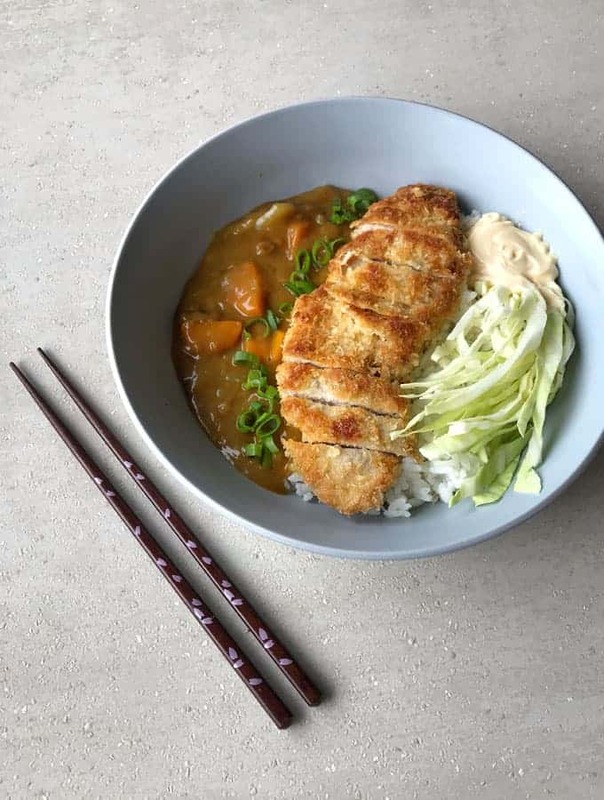 • Slice the cooked crispy pork then add it to a bowl on top of the cooked rice, pour over the curry sauce and add cabbage, spring onion and Japanese mayo. 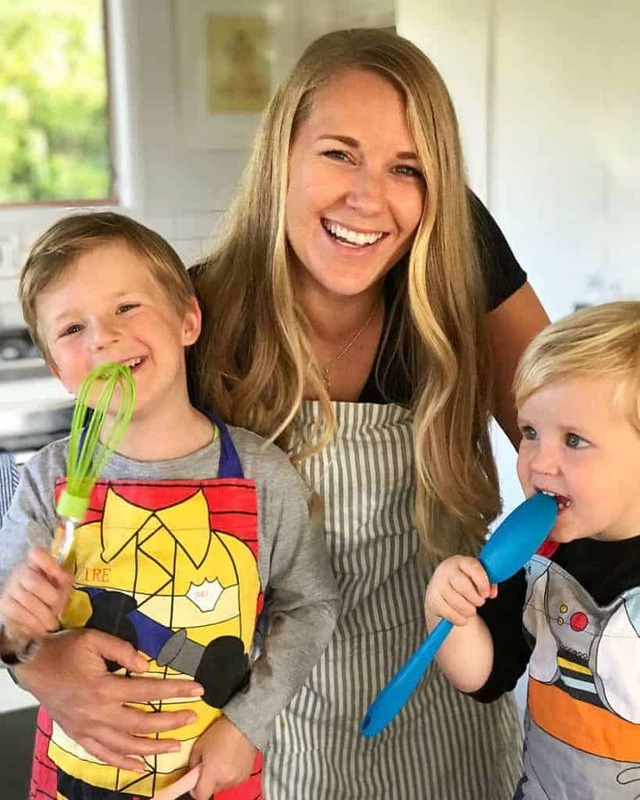 This recipe can also be made with chicken breast, just beat each one with a rolling pin until flattened, this will ensure that the chicken will cook evenly in the frypan.